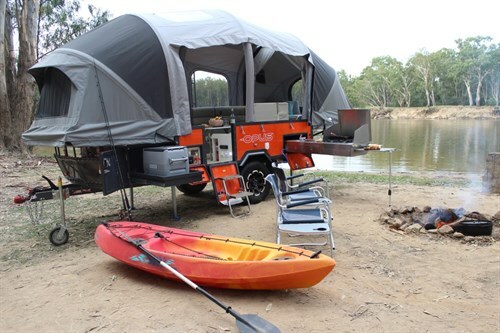 HomeEco-friendly houseEnvironmentGadgetsGreen ProductsTransportAir OPUS Makes Camping in Style Even Easier for Adventurers Everywhere! 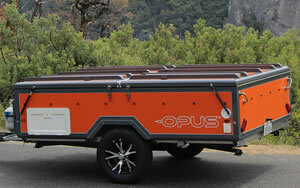 Air OPUS Makes Camping in Style Even Easier for Adventurers Everywhere! Pleasure and passion of many adventurers during camping give up the comfort and feel of easiness which is available at home. They force to live in a tiny and compromising tent where it’s really difficult to even move around inside. Using a tent doesn’t mean that you have to let go all the comfort and to suffer! 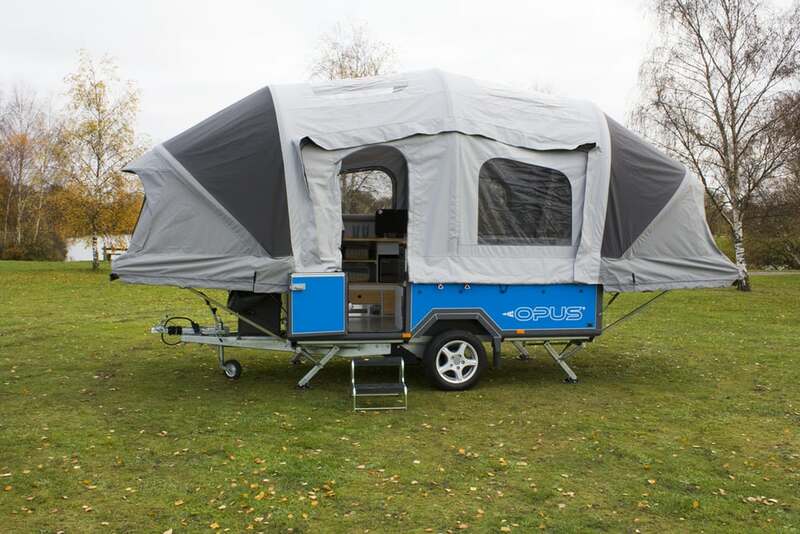 Now, OPUS Camper has introduced an ‘Air OPUS’ inflating air camp that allows you to feel comfortable and that will make your trip substantially better as far as luxury and safety are concerned. 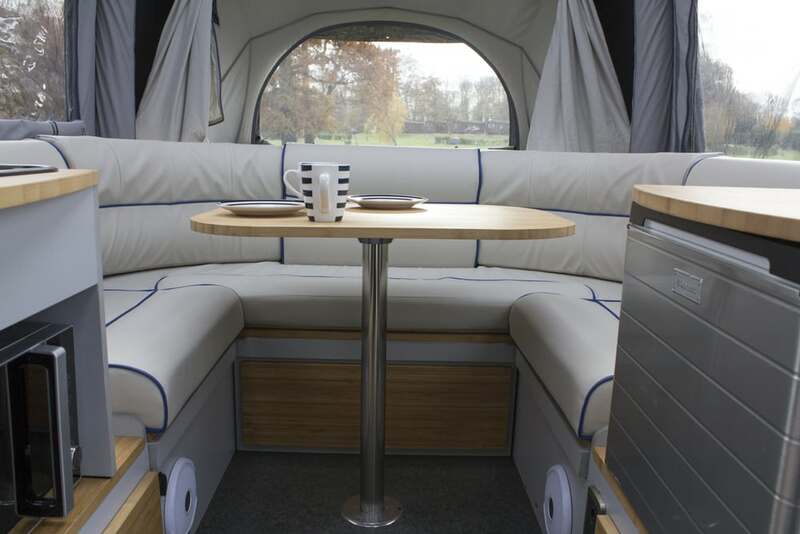 The Air OPUS utilizes an ‘air pole’ technology which converts a compact 13.5-foot trailer into a luxury six berth family camper in less than 90 seconds! 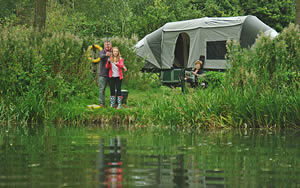 The design of the tent is such that it eliminates the traditional poles to erect. 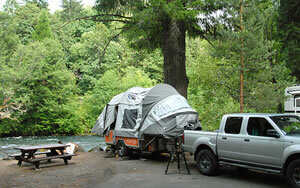 It works using an electric pump powered by a 12-V leisure battery which is located inside the camper. It’s very simple to inflate and deflate in a speedy pack down, just release the valve and all poles are deflated. 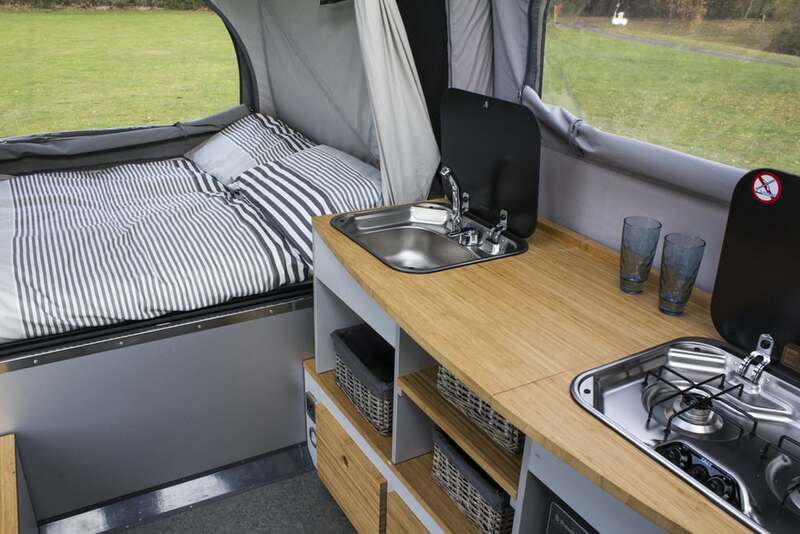 It incorporates fixed bed ends including both roof and side windows in both bedroom areas. 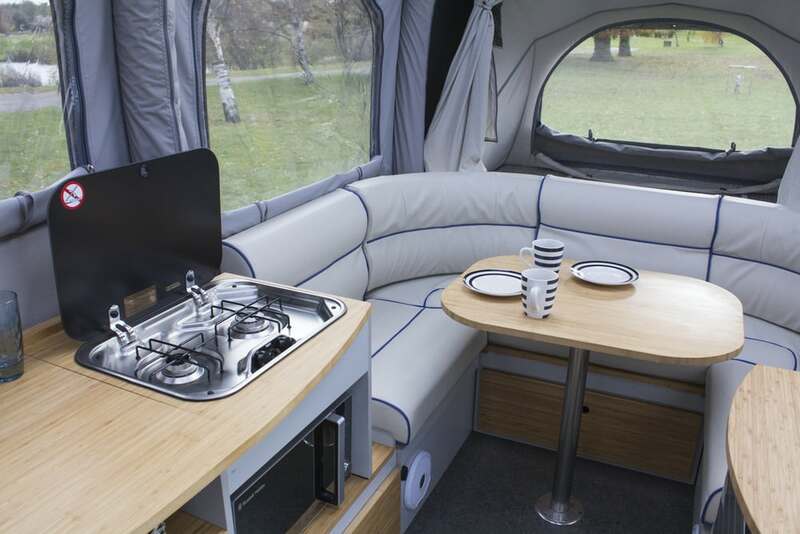 The larger internal area makes it roomier for movement.